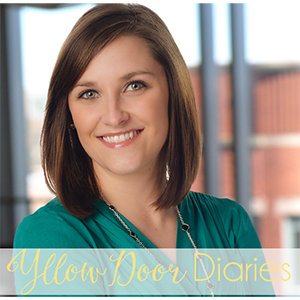 Yellow Door Diaries: Fall Goodie Swap! Thanks for getting us all organized and coming up with a fun idea! Without further adieu, check out the awesome things Brittany sent me! Love!! Brittany was so spot on. I immediately put the hand towels out, and I love them so much more than the other ones I had - it was time for them to go! I also love that they can last through the whole season rather than just a specific holiday. I've already used the nail polish, and it's the perfect fall shade - a purply brown - and a great addition to my collection. And the pencils? GOLD. I love gold. And they're spicing up my office in the best way. I'm so glad you and brittany got along so well, though I knew you would! :) she nailed her gifts! Thank you for participating! Spot on! She did an awesome job - thanks, Lindsay! Morgan, so glad you participated. I love everything your received but especially the nail polish. Me, too! It's the perfect fall color. Hi! I'm popping over from Brittany's blog. I'm an attorney too:) I lover meeting others who work in the legal field. You both did soooo awesome on each others' fall swag! That nail polish is such a gorgeous color, and I love those hand towels! No kidding! Law firms unite! ;) Thanks for stopping by - Brittany did a bang-up job. I am obsessed with the nail color!